Description: Cinematic tripod shot of iceflakes falling down slowly on a steamy river making very nice glittery look. 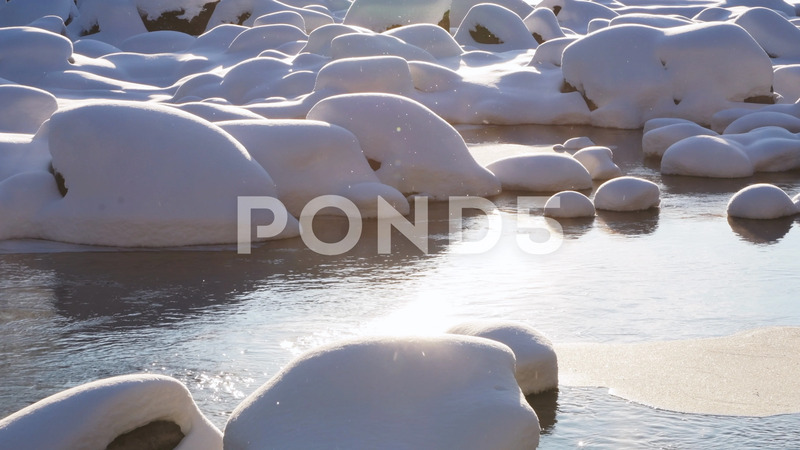 Snow covered rocks in the river, sunny day. Very cold weather.